my pretty little lovelies, with their cheeseball smiles and their easter dresses. each dress has a little apron, made with a vintage embroidered pillowcase that belonged to my mother. such a fun dress to put together. 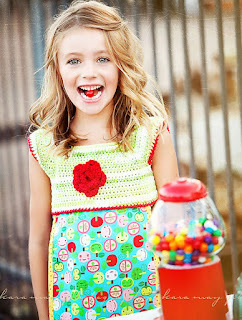 . .
LOVE the crochet top!! Such great dresses! Love your dresses! Would you create a tutorial for making one of those dresses? 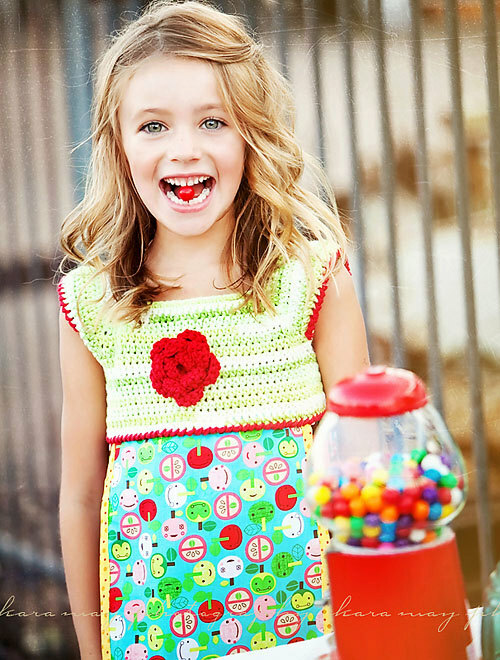 I love the dresses with the combination of crochet and fabric. What a wonderful idea!